Four years I’ve been fish-and-chip-less. FOUR YEARS. 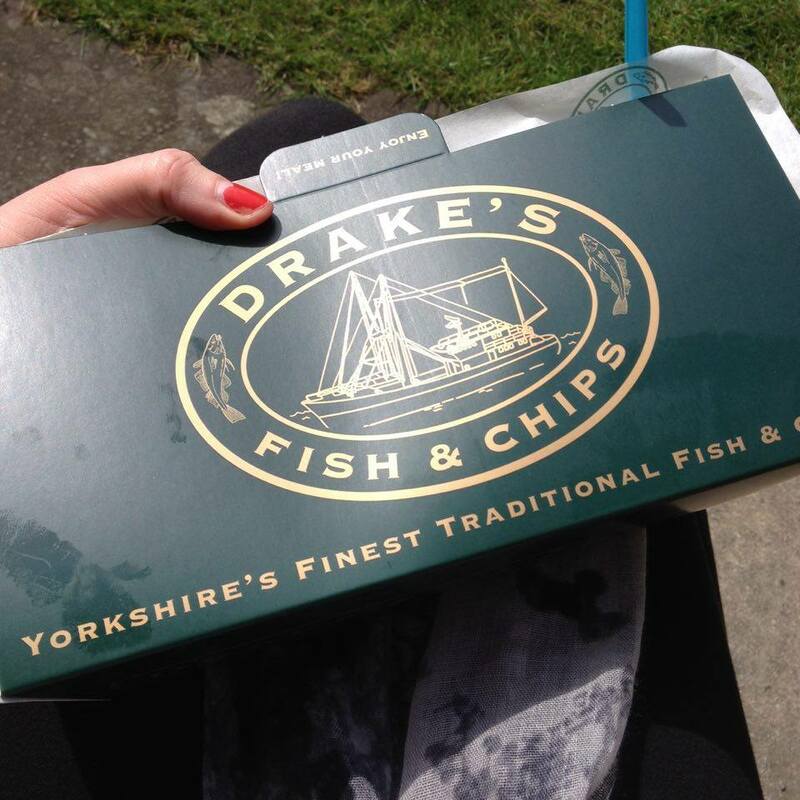 That’s 1460 thousand days without greasy, lip-smacking chippy teas. I’d seen bits and bobs on coeliac forums about gluten free chippies up and down the UK but never got round to getting to one. Mainly because I didn’t dare gamble on the cross contamination. Gluten free doesn’t mean suitable for coeliacs, after all. 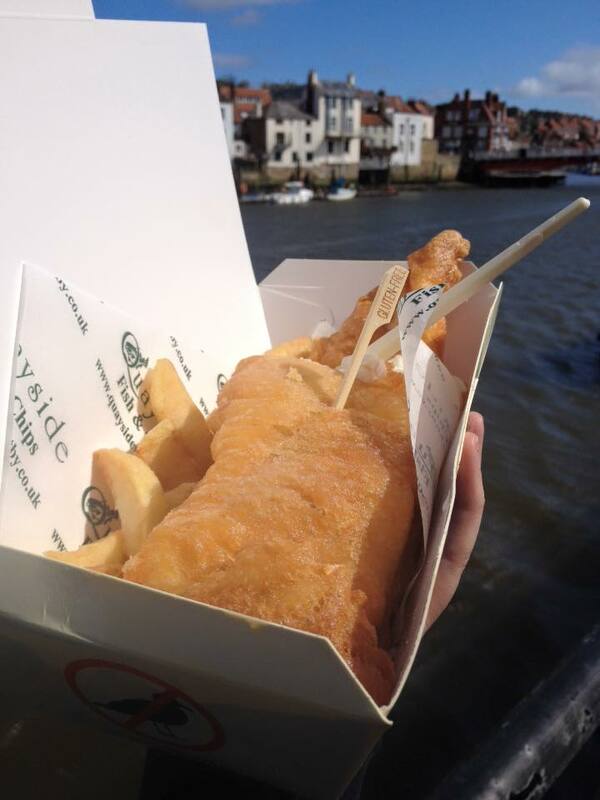 Anyway, one of these wondrous places I had heard of was Whitby’s famed Quayside. 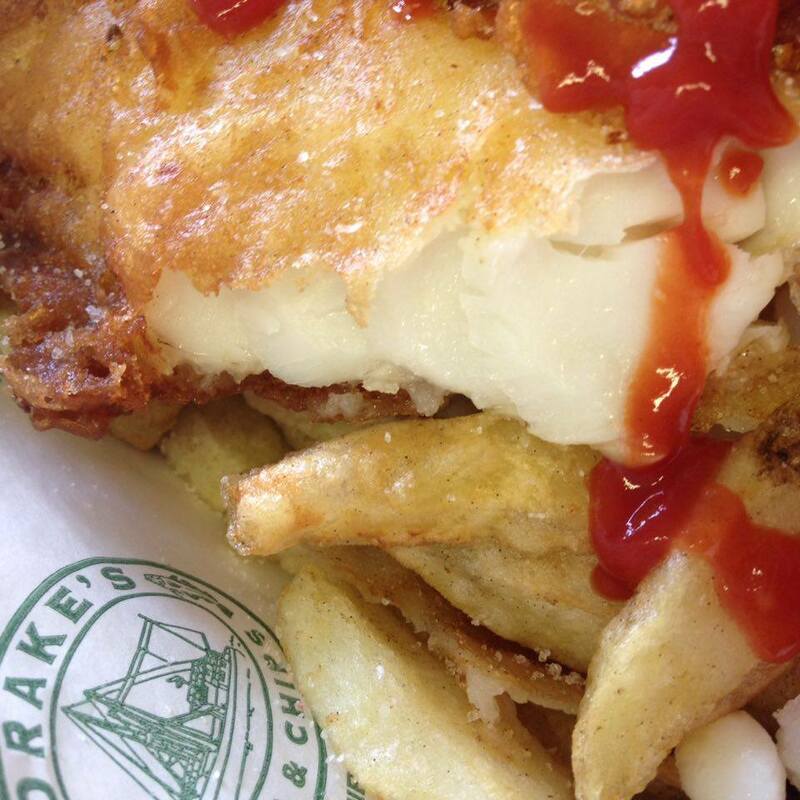 So I made a trip to the seaside town especially for an award-winning tray of fishy chippy goodness. And it was certainly a worthy quest. These guys really pull out all the stops for coeliacs. 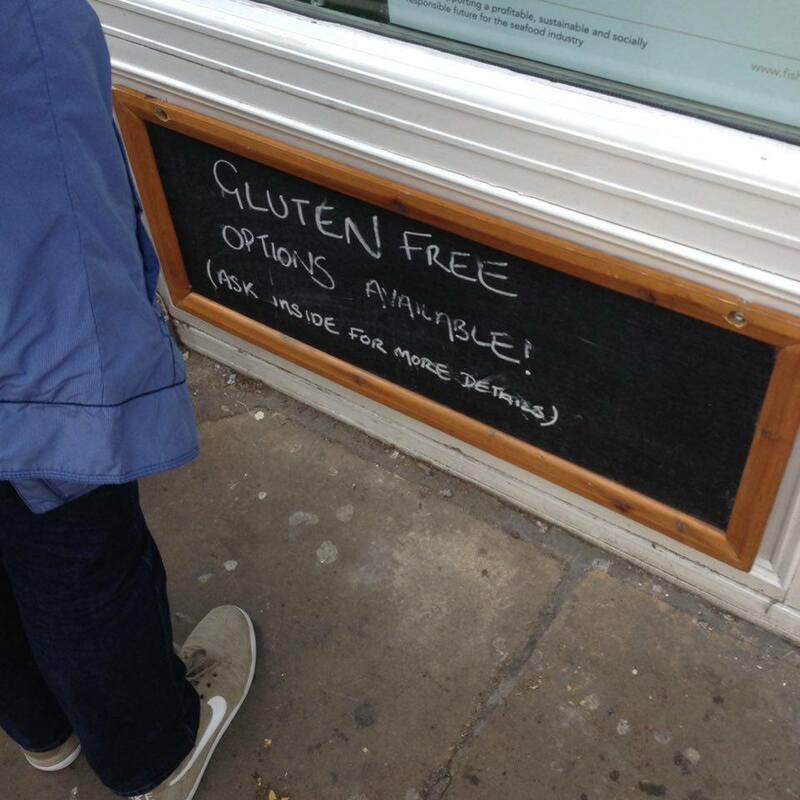 There’s a big sign on the window that reads: ‘Gluten free is an option, not an afterthought’. The guy serving me explained that they couldn’t guarantee no cross contamination entirely but no coeliac had ever complained or been sick after eating here. So I went ahead and ordered. Take a look at that beauty. It was what can only be described as flippin’ orgasmic. The batter was so light and crispy, then you bite into it and it just merges beautifully with creamy white fish. If it wasn’t for the stick saying ‘gluten free’ I would have been massively paranoid – it just tasted too good to be true. I could have eaten it all over again. But we had to go. Like a shark given a sniff of blood, I needed my next fix. But where? 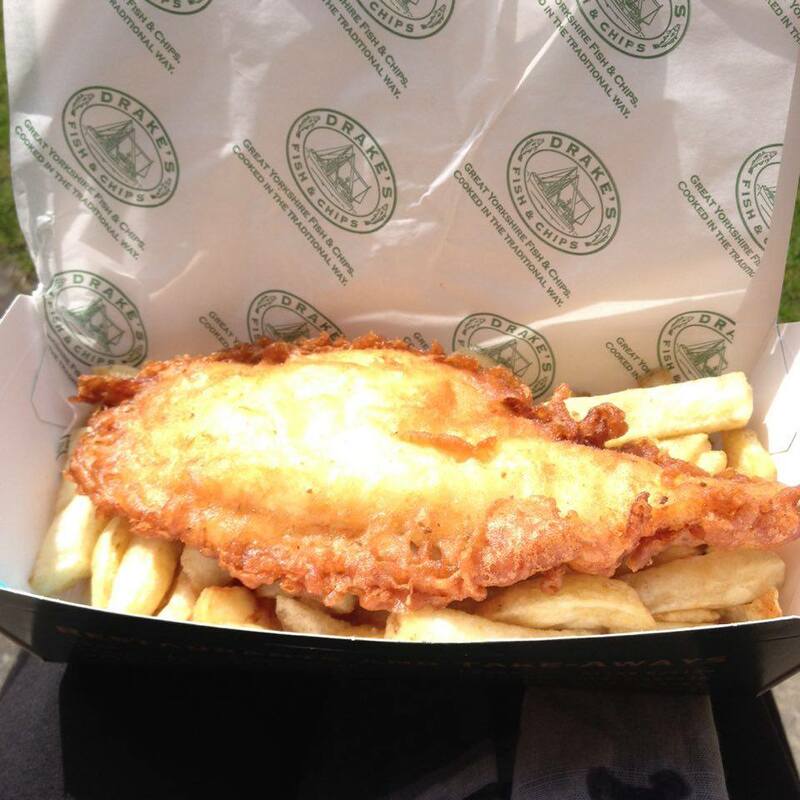 I’d heard of Harpers – a chain specialising in gluten free with a chippy in York. They have special fryers installed just to keep coeliacs safe which is awesome. 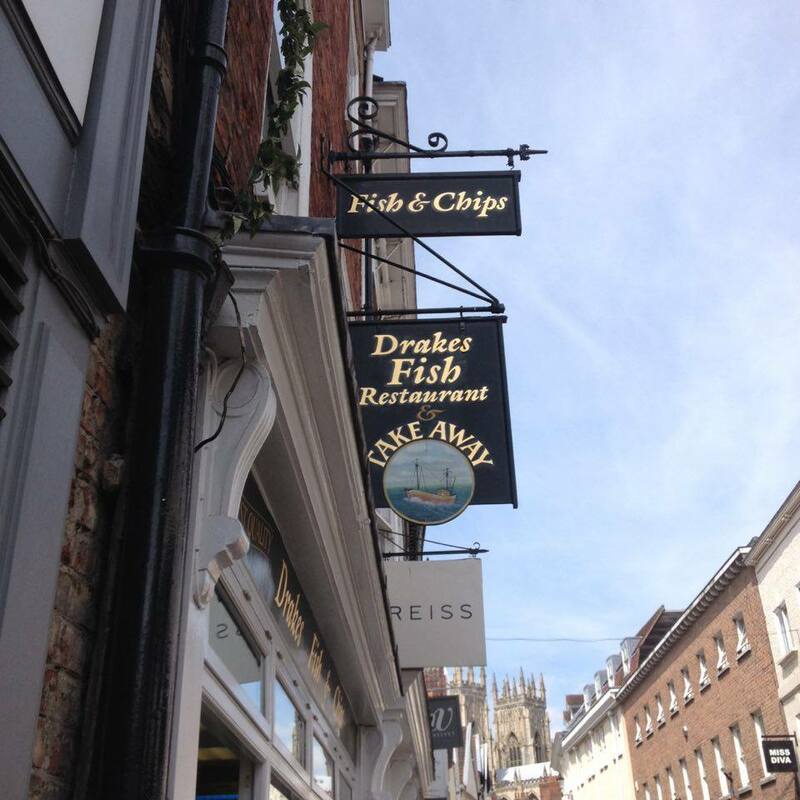 But then my work mate suggested Drakes, located on Low Petergate in York (just up the road from where I work, result!). I had a wander up on my lunch break and sure enough, the sign offering GF fish and chips was there. The chef inside was pretty knowledgeable and very reassuring when it came to my usual interrogative approach to cross contamination. He said they had lots of people with coeliac disease eating the GF fish and chips, all of which had left glowing reviews on TripAdvisor and none had reported illness. Again, he told me they couldn’t guarantee cross contamination (say, from a speck of batter from another fryer or something) but assured me it was unlikely. Sweet baby Jesus and his ten little toes. Look at the size of those big fat chips. The fish, again was gloriously creamy, the portion size was generous and the price was great (just over a fiver I think).